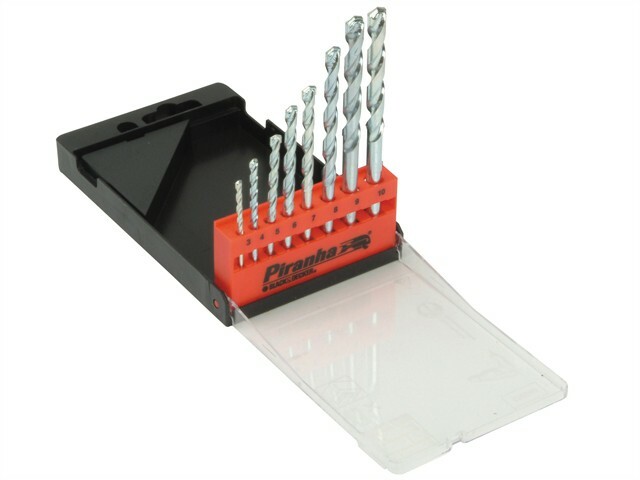 The Black & Decker Masonry Drill Bit Sets with various sized drill bits supplied in a plastic case. 3 Piece X56128: 5, 6 and 7mm. 8 Piece X56040: 3, 4, 5, 6, 7, 8, 9 and 10mm.